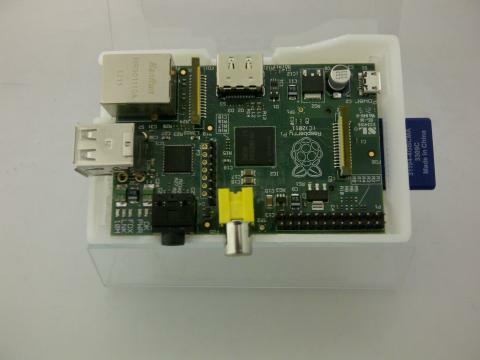 My Raspberry Pi arrived today, this could be a real game changer for the Instant Wild project. A couple of days ago the Raspberry Pi team announced the development of a camera module I can only imagine it will be a quarter of the price of the Ada Fruit camera we are currently looking at as the closest to fulfilling our requirements. It only takes a moment to imagine some of the advantages of using an applications processor vs a microcontroller, advanced motion detection, object recognition and image manipulation – just to start with! This entry was posted in Micro Electronics, ZSL - Instant Wild (Eye SPi) and tagged arduino, instant wild, London Zoo, Micro Electronics, Raspberry Pi, zsl. Instant Wild – Shopping List!